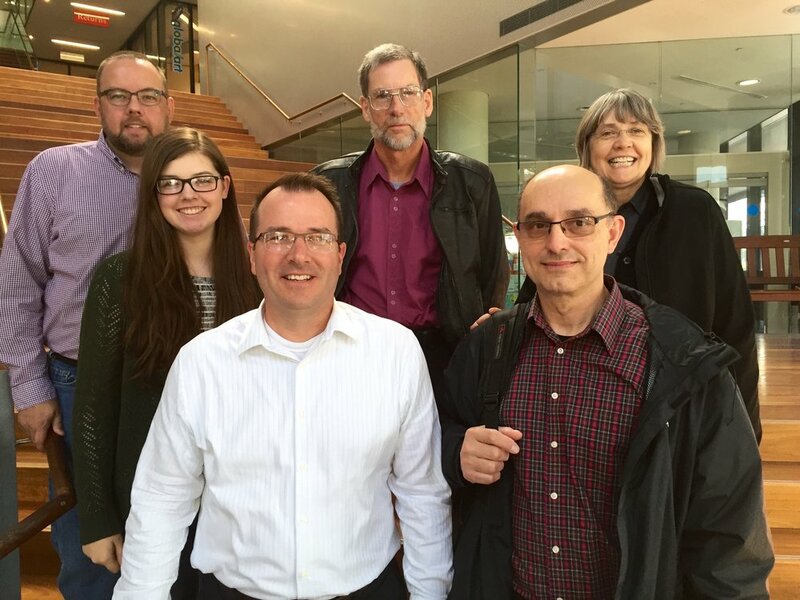 We are excited to have a visiting team from one of supporting churches in August. Please be praying for the team that will be joining us for our City Bible Forum national mission, Reel Dialogue event, city ministries, scripture classes and church events. We are thrilled to have the team along to serve in this exciting mission field. Pray for their planning, their health, adapting to the Australian culture and for many opportunities for the team to engage with people with the Gospel. The First Family Vacation Bible School helped to raise money for their journey and specifically to purchase Bibles for our scripture classes. We are so grateful for their sacrifice to come and serve. Please be praying for Jay McFarling and the whole team. What does that have to do with Ben Hur? City Bible Forum and the Reel Dialogue team have been presented with the opportunity for pre-screening events that will centre on the Paramount release of Ben Hur in five cities in Australia. The First Family team will be assisting with the evangelistic event in Sydney. Partnering with Heritage Films and Paramount Pictures, Reel Dialogue is proud to offer a special pre-screening event of Ben- Hur. The Reel Dialogue team would like to invite you to a night a cinema and discussion. We will screen the new adaptation of Ben-Hur and then enjoy a Reel Dialogue panel discussion with The Big Picture's Mark Hadley and Ben McEachen who will be joined up front by City Bible Forum's Sam Chan. Synopsis of the film: BEN-HUR is the epic story of Judah Ben-Hur (Jack Huston), a prince falsely accused of treason by his adopted brother Messala (Toby Kebbell), an officer in the Roman army. Stripped of his title, separated from his family and the woman he loves (Nazanin Boniadi), Judah is forced into slavery. After years at sea, Judah returns to his homeland to seek revenge, but finds redemption. Based on Lew Wallace’s timeless novel, Ben-Hur: A Tale of the Christ. The panel will discuss the themes of the film and allow you to ask questions about the film. Mark Hadley has been writing professionally for more than 20 years. He has been a journalist for most of that time, employed by a range of prominent radio, television and web publications including the ABC. In addition, Mark has been reviewing films, television programs and children’s books for the past ten years for Australian papers and magazines, nationally syndicated radio programs and internationally read web sites. Ben McEachen is a professional film reviewer. Seriously. That's a real, paying job. And he's even been at it for more than a decade. He has been editor at Empire magazine, film editor at The Advertiser, lead critic for several News Ltd Sunday papers and a regular fixture on 2GB, ABC and Showtime. Ben also contributes Christian-flavoured film reviews to Eternity newspaper, Hope 103.2 FM, War Cry and Insights magazines. 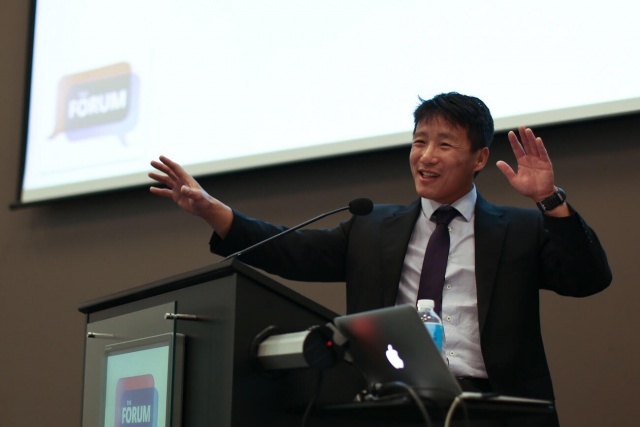 Sam Chan is a regular speaker at City Bible Forum. 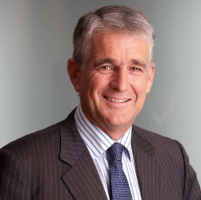 He is also a conference speaker, ethicist, ex-rugby player (Sydney Uni 5ths! ), retired marathon runner and now a student of Krav Maga (his mid-life crisis activity). His PhD in theology examined the application of speech act theory to the theology of preaching. Another event that the First Family Church team will be assisting with during the the evangelistic events with Tracy Trinita. As Indonesia’s first supermodel Tracy went on to model clothes for top designers such as Yves Saint Laurent, Jean Paul Gautier, Kenzo, and Benetton on the catwalks of New York, Milan and Paris. In Indonesia, Tracy also starred in movies and TV dramas. You’re invited to hear Tracy tell how she finally met the designer she’s been modelling for since birth. Please pray for these events to be used for God's glory. What else will the team be doing? They will hit the ground running and not stop for the ten days that they are in Sydney. Please pray for the team and for their experiences in Sydney. Thank your your support and prayers. Please be praying for these events and more opportunities in the future. Thanks for your patience over the last few months. It has been an exceptionally busy month with personal events and ministry. We are grateful for all of your support and prayers. Russ had a bit of a health scare at the end of April and ended up in the hospital for a bit. Due to some irregularities in his heart rate and an abnormal ECG (EKG in the US) the doctors had to find out what was causing some of these health issues. After a few stressful weeks of tests, monitors and a shaved chest (Ouch! One of the most painful parts of the experience), the diagnosis was he has an athlete's heart (slightly thickened walls of the heart, due to regular exercise) which threw the ECG out of whack and stressful lifestyle. So, some healthy evaluation of lifestyle issues is in order, but all things are back to some level of order. We will keep you posted. We have tried to keep this as a private and personal matter, but thought it would be worth asking for prayer. Thank you for all who have been involved in the process. In amongst all of this and other personal challenges, we had a multitude of ministry situations come up. We are praising the Lord for these great opportunities to share the Gospel in some unique areas. It has been an exciting time at RHBC. We have been having multiple guests every week at the church as we are working through the Gospel of John. Not only are we seeing new families and individuals, but they are staying to make this church their church home. In this we are seeing growth in all of our home Bible studies which means the leadership team is having to consider some of the upcoming challenges of church growth. Please pray for Pastor Ben Kwok and the leadership team as we plan for 2017. We had a great series in June called 4 difficult questions /4 confronting answers. We saw many people engaging with the Gospel of Luke and new people coming along each week. 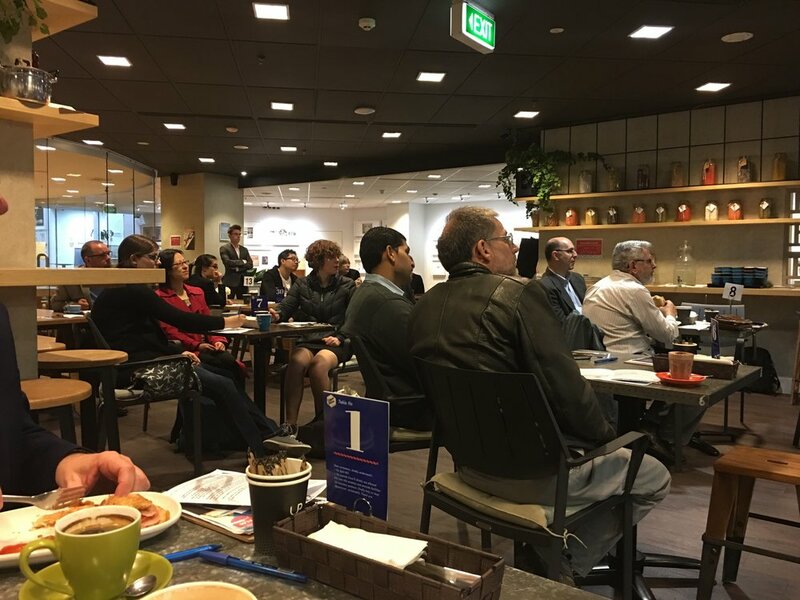 Also, the Bible studies in John at Westpac Bank continue to see many enquirers (Those who do not know Jesus, yet) coming along to learn more from the Gospel of John. We live in a world that tells us: you can do anything, be anything, believe in yourself, and all your dreams will come true. To be blunt this is nonsense and makes for a world of disappointment and frustration. Jesus tells us some hard truths about life, and reality and yet ironically, embracing these truths will give us freedom and joy. The Sydney Prayer Breakfast is an annual event for Christians to pray for the city of Sydney. Every year we have seen growth in this fantastic and encouraging event. We had close to 930 people come to the full room at The Westin. The Governor of the Reserve Bank of Australia, Glenn Stevens, gave a great talk full of wisdom and insights into our world. Please pray as we prepare for next year as we hope to get closer to 2000 attendees. Please be praying for the team that will be joining us in August for the our national mission, city ministries, scripture classes and church events. We are thrilled to have the team along to serve in this exciting mission field. We are so grateful for their sacrifice to come and serve. Please be praying for Jay McFarling and the whole team. We are gearing up for a busy month of ministry in May - Could we ask for your prayers? Do you remember what it was like to have the wonder of a child? Everything seemed new and magical. But as adults we often lose this sense of awe. In a world that over-promises and under-delivers, can we still find something extraordinary? Earlier in the year, Sam Chan asked audiences in the city to consider the question of Meaning as he looked at the Bible book of Ecclesiastes. In May we will return to look at what this book says about the extraordinary. Pray for many people to come along for this fantastic evangelistic series. To flourish is to grow vigorously, to thrive, to prosper. Is this possible for Christian workers when the world around them is driven by egos and commercial outcomes? Most certainly yes! Pray that workers come to this leaders’ conference and that they will be inspired to serve God at work. Who is this conference for? We are encouraging Christian workers from Brisbane, Adelaide, Melbourne and Sydney to attend. People who see the workplace as strategic opportunity for Christian ministry and outreach. We hope they will be equipped and encouraged by the presentations and the fellowship of like-minded believers. Celebrate with us and pray for the night as we celebrate 25 years of the City Bible Forum (formerly Ecom) ministry. We will relive the journey from home office ministry to large national team. Supporters will gather to say thank you to God for 1,000s of city workers who have heard the message of Jesus. Supporters will catch up with people and relive memories. Our team will be able to share some of our hopes for the future. Celebrate with us and celebrate all the Lord is doing with our team. Cathy will continue the ministry of teaching scripture in the public schools and being a children's leader with Bible Study Fellowship. In May, we will be travelling through John 13 & 14 as a church. Pastor Ben Kwok and Russ Matthews will Jesus' responses to key topics in people's lives: Service, betrayal, searching for truth and knowing the way to God. Our family is thankful to celebrate 10 years of service in Sydney. Thank you for all that you have done to support our work and we look forward to what the Lord has in store for us in the future. It has been an exciting beginning of the year in the work in Sydney this year. After Hope and Matt's wedding in January. Thank for all of the wonderful support and for all who were able to come along to the wedding. It was an incredibly God honouring day and a beautiful start for this lovely couple. Please pray the Lord continues to work in and through their lives. After the wedding, things kept going in the world of ministry. We were able to get things started off well for the year in the city and at Rouse Hill Bible Church. Years come and go = So, what is the point of it all? Sam Chan started off the year at The Forum with a new series where he answers these questions from above as he presents the answers from the book of Ecclesiastes. Throughout the beginning of the year, Ben Kwok and I will be working through the book of Leviticus. Please pray that we can share how the richness of this Old Testament text can apply to those who live in the age of grace. We had a fantastic start to the Reel Dialogue ministry opportunities. We had an evangelistic event that included the screening of Academy Award nominated Brooklyn. It was an engaging evening of film and discussion with some of the industry's commentators. After the film, Ben McEachen, Mark Hadley (The Big Picture ) and Adrian Drayton (Insights Magazine) will discuss the film and what it says about immigration, love and value of community. It was a great lead into Gospel conversations and an opportunity to invite people to various events throughout the city. DO YOU WISH LIFE HAD A RESET BUTTON? What would it take to hit the reset button in life? Ever considered how God may be able to help? Al Stewart and Craig Tucker will be working through the book of Luke to discuss how Jesus provides us with a reset button in life. Please pray for this series in the month of March. Cathy will begin the ministries at Bible Study Fellowship and scripture classes in the public schools this month. We hope to have an update from her in the coming months to give you an update soon. Thank you for your continued support and prayers. please do not hesitate to contact us with any questions. 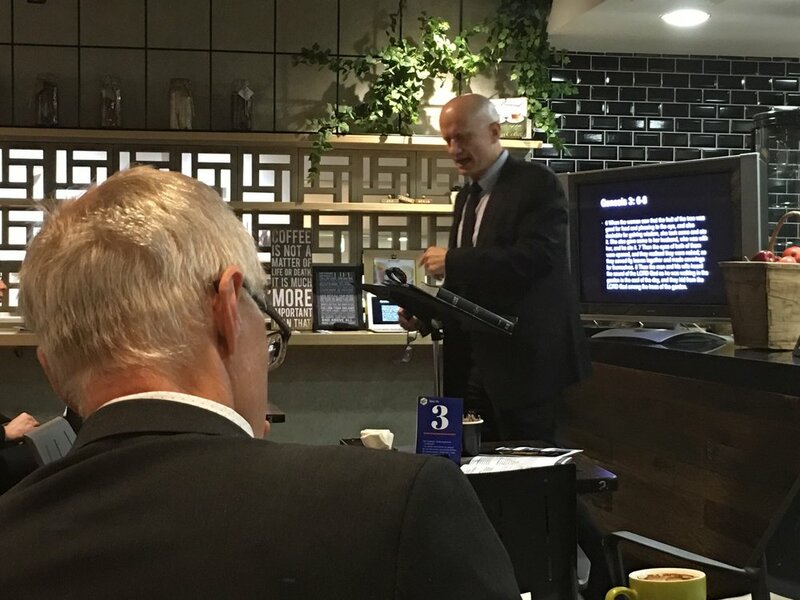 You can read more about our work in Sydney on Facebook: Matthews Down Under, Reel Dialogue, Russelling Reviews, Rouse Hill Bible Church and City Bible Forum. We wanted to repost these details for our supporters. Over the past we have had the privilege to work alongside some amazing organisations. Through Facebook, our website and conversations we have mentioned various ministry connections. We get requests for the names, websites and contact details for these people or groups. We thought we would do a simple list of the organisations we work with regularly. Check out their websites and contact us with any questions. Throughout 2016, we will highlight some of these great ministry opportunities. We could use your prayers with a multitude of evangelistic events happening in October. It is an exciting time and we are thankful for your prayers. Russ oversees the coordination of these events and all are evangelistic in their manner and delivery. Imagine God applying for the position of God. What would you ask ? What would God say? Mark Leong will be looking at these questions, as well as others, and how we can find the answers in the book of Hebrews from the New Testament. Asylum seekers, the economy, leadership spills, and even the Ashes. These are the topics that are in the daily headlines. How is leadership meant to respond during these challenging political times? This should be a wonderful evening of discussion about the value of leadership in turbulent times. Panellists: Peter Pollock shook the international cricket world with his fast bowling ability in the 60’s & 70’s. 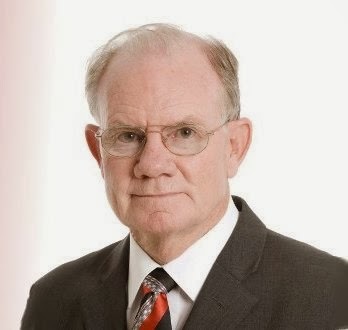 He is the father of former South African Cricket Captain, Shaun Pollock and an established author, journalist, businessman and sports executive. He was a competitive and hard man, a no-holds-barred man. An engaging evening of film and discussion with some of the industry's commentators. After the film, Mark Hadley and Ben McEachen (The Big Picture) will discuss the film and what it says about life and our goals in life. Russell Matthews from Insights Magazine will moderate the evening. Brief about the film Twelve people have walked on the moon, but only one man - Philippe Petit (Joseph Gordon-Levitt) - has ever, or will ever, walk in the immense void between the World Trade Centre towers. Guided by his real-life mentor, Papa Rudy (Ben Kingsley), and aided by an unlikely band of international recruits, Petit and his gang overcome long odds, betrayals, dissension and countless close calls to conceive and execute their mad plan. Robert Zemeckis: the director of such marvels as Forrest Gump, Cast Away, Back to the Future, Polar Express and Flight, again uses cutting edge technology in the service of an emotional, character-driven story. Mark Hadley has been a journalist for over 20 years and has been reviewing films, television programmes and children’s books for the past ten years for Australian papers and magazines and is co-host of weekly pop-culture podcast The Big Picture. Ben McEachen has reviewed films for more than a decade. He has been editor at Empire magazine, contributes to Christian newspaper Eternity, and is co-host of weekly pop-culture podcast The Big Picture. Pastor Ben Kwok and Russ Matthews are working through the book of James. Russ will be preaching from chapter 5 on 18 October. The theme will be on patience with God. It has been a great time of ministry at City Bible Forum and Rouse Hill Bible Church. Here are some of the key ministry opportunities coming up in the coming months. A new series coming up in October at City bible Forum. Imagine God applying for the position of God. What would you ask ? What would God say? The questions considered in the series: Can you tell me a little bit about yourself? What is your management style? Why are you interested in me? What do you offer that someone else cannot? Mark Leong will be looking at these questions and how we can find the answers in the book of Hebrews from the New Testament. Mark has been interviewed for a range of jobs – selling shoes at Rivers, tax consulting at Ernst & Young and most recently, via a “coffee” with City Bible Forum. He manages the Young Workers Program although he wishes the Swans would interview him – he’s ready to pick up the phone! Please pray for the series and for many guests to come along for this intriguing series. It will be an engaging evening of film and discussion with some of the industry's commentators. After the film, Mark Hadley and Ben McEachen (The Big Picture) will discuss the film and what it says about this life, our goals in life and what the Bible has to say about our life. Please pray for the event and for many guests to come along for this intriguing evening of film and discussion. If you would like to read more of Russ Matthews reviews and consider some of the discussion questions from these reviews, all can be found on Reel Dialogue. Pastor Ben Kwok and Russ Matthews are currently working through the book of James. Please pray as we look at this straight forward and confronting letter. This week will be on wordiness and humility. Thank you for your prayers and please contact us with any questions about our work in Australia. Good afternoon to our friends and supporters, We have had an exceptionally blessed and busy few months. Heaps of things happening in Sydney with the various ministries and with our family. Thank you for your prayers! If God is so loving... Why? The Christian God is supposed to be both loving and powerful. But sometimes this is very hard for us to see or believe. Please pray for people to come along to hear what Jesus says about this in a series of stories in Luke 13. 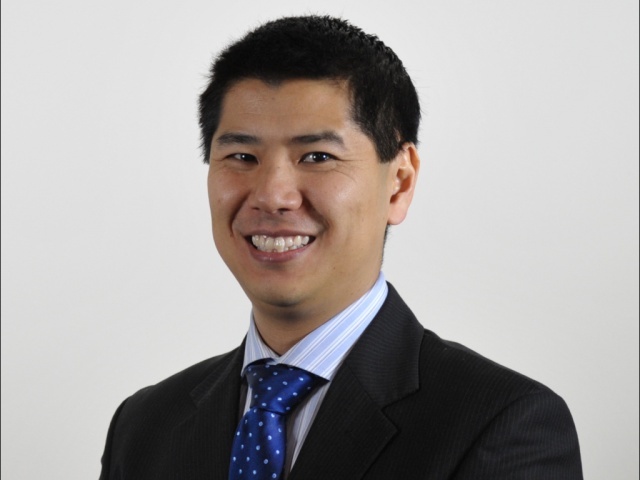 Dr Sam Chan will be giving weekly talks on these big topics and answering questions on the day. We have started a new evangelistic series of Bible studies in the city. The Word 1 to 1. It has been a great tool of working through the Gospel of John. It is pretty amazing to be working through so many enquirers with this new series of studies. Please pray for many of these people who are opening the Word for the first time. We are thrilled to announce the engagement of our daughter, Hope, to Matt Gibb. They will be getting married in January 2016. Please pray for the planning and for the future of this lovely Christian couple. We are thrilled with this announcement and look forward to all that is coming in the coming months. Thank you for your continual prayers and support. We are moving into autumn in Sydney. We are into the second term of school and the new series at City Bible Forum. The weather is changing and the opportunities for a multitude of evangelistic events are open to us. Do you pray? Seems like s silly question for many, but do you really pray for others? Honestly, it is something that is a conscience effort and easier said than done. We can get so caught up in our lives and needs, if we do pray the words tend to be for our own personal needs. It seems like a simple request to ask for prayer, but we understand that it takes quite a bit to take something from theory to practice. So, THANK YOU! Thank you to those who take the time to pray for us. It is a bigger request than many may realise. So, THANK YOU for your prayers. Ask Dr. Sam about life, God and surgery? Beginning in May, Dr. Sam Chan will be giving talk about four of life's biggest questions. Am I somebody to someone? Am I making a difference? Am I having fun? Will I be remembered? Pray that many would come along for this series. Sam will be talking on how we know our lives are valuable, appreciated and worthwhile. Also, each week at The Forum, we finish each talk with a Q&A time. Many have asked to extend that time with our speakers. On Thursdays, 21 & 28 May, we will meet those requests with an extended Q&A session with Dr Sam Chan. Dr Sam Chan is a "double doctor" - a medical doctor with a PhD in theology - who speaks on life, meaning and faith. He is hopeless at dancing, rugby and karaoke - but he does know the words to American Pie (or maybe just the chorus). Russelling Reviews: Can we see God in film? Over the past few years, Russ has had the opportunity to work on his evangelistic work within the film industry. Through various evangelistic events, he has been able to work with industry professionals to see more Christians having a voice within this community. It has been a fascinating and stretching journey, but the Lord has opened amazing doors to His work in this area. One component of this work is writing articles and reviews on film. Through good mentorship, he has been able to be published in Insights magazine and currently has a blog called Russelling Reviews. The intention of these reviews is to incorporate his love of film and point people to see how we can find God within the storyline of these films. It has led to coordination of evangelistic events that combine film and the Gospel. Please pray for these events and for all who do not know the Lord who come along. For many, this is the first introduction to the Gospel. Pastor John Colyer of Ankeny Free Church went home to be with the Lord on Saturday, April 18, 2015 while doing missionary work in Lusaka, Zambia. Ankeny Free Church is a vibrant church that has been exciting ministry partner over the years. Even though John would be too humble to admit it, The Lord has worked in mighty ways through him and the church, but please know that he was more than a supporter of our mission work. He was a good friend and we will miss him greatly, for now. John was instrumental in helping our family get to the mission field and was always willing to give of his time and wisdom. We praise the Lord for the opportunity to have known John Colyer in this life, for all he did for us and we are thankful that we will see him again. Please pray for the church and his family during this time of grief, celebration and transition. Thank you for your prayers. Enjoy the update, read the reviews and keep serving the Lord. Russ will be speaking on the purpose of creation at Rouse Hill Bible Church. We will be travelling through Psalm 104, we will look at the majesty of creation, but try to find the purpose of it all. Pray as we engage on this massive topic of God's creation and its purpose. City Bible Forum will be hosting an engaging evening of film and discussion with some of the industry's commentators. After the film, Ben McEachen (Empire Magazine, Open House) and Renee Brack (Writer and industry professional) will discuss the film and what it says about life and eternity. Please pray for the evangelistic opportunities from this event. Why won't they listen? Have you wondered why your witnessing falls flat and people fail to respond? Many comment that science has disproved the Bible and therefore it is not relevant to today's modern world. But what's the answer? Can the majority of scientists really be wrong?Dr Mark Harwood delivered a powerful message 'Going Where the Evidence Leads' on Sunday 22 March. The conversations about creation were wonderful and challenging for our church family. It has been great getting home, but the realities of the life of ministry have set in. There are many different things that we are excited to participate, but now is the time to determine what is the right things for us to put our efforts. Pray that we continue to follow the Lord's direction for all things. We are rolling into the new year with The Forum, Bible studies at Rouse Hill Bible Church, scripture classes, Bible Study Fellowship and school beginning. Please be praying for all of these items for us. If you would like to find out more about each of these events, click on the links.